We know how to create(Steps to create) a new user control in silverlight by using Visual Studio or Expression Blend(Add New – > Selecting usercontrol from templates etc .. etc..), but what if we have to convert an existing silverlight object????? well cut copy and paste in newly created user control is risky, so what is the best way ?? well here i tell you the easy way. In this article i am going to demonstrate to convert any existing silverlight object(like Grid, Group of buttons etc…) into User Control. Here i am taking a sample application with header menu, i am going to convert this menu part(which is already created) into a User Control. 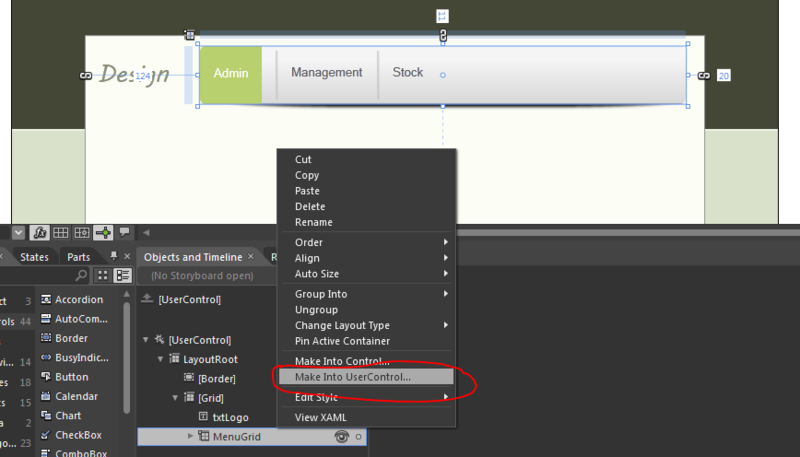 After selection this option a popup will appears where you need to enter your user control’s name, in this case i am just leaving the default one, see it in below image. Now our control is created, if you can check in solution explorer a new xaml page(not a page it’s a User Control) is automatically created by Blend, see it in below image. 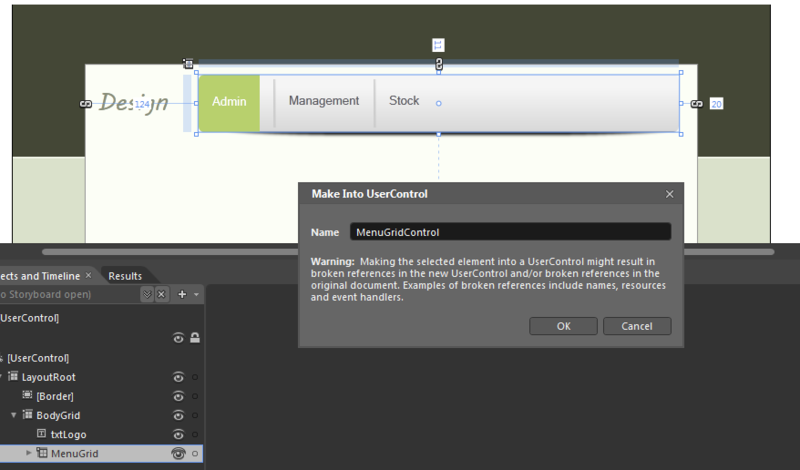 if you can see in xaml, you can find a xaml tag called <Local/> in this example <Local:MenuGridControl /> that is our User control, Blend automatically adjusts our controls margins as per our layout design. see it in below image. Blend automatically added a Margin property to our control. 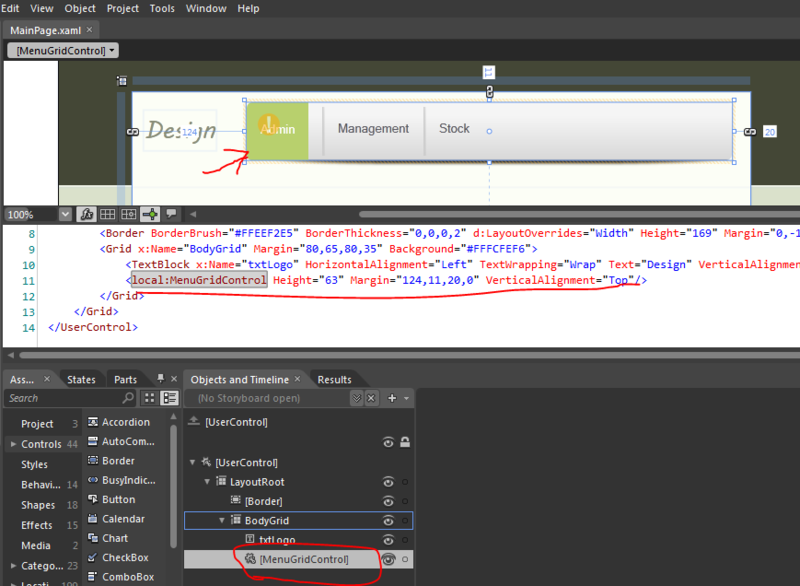 That’s it it’s very easy to convert a existing object in a user control, using Expression Blend. This entry was posted in Controls. Bookmark the permalink.